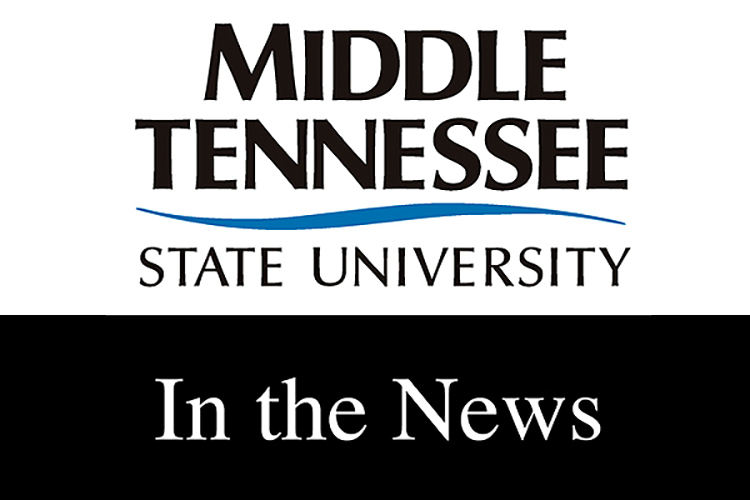 MTSU experts provided facts and perspectives on elections, tariffs, Islam, housing prices and the use of leftovers in stew in recent articles and telecasts. • Kent Syler, a professor of political science and international affairs, had a particularly busy stretch of media contributions leading up to the midterm elections. In an Oct. 10 column published in The Daily Memphian, Syler analyzed the dilemma Bredesen encountered with the nomination of Brett Kavanaugh to the U.S. Supreme Court. Syler’s words can be read here. Syler also commented on partisanship in the confirmation process for federal judges for a column by Alex Hubbard in the Oct. 21 edition of The Tennessean. His words are available here. In addition, Syler provided analysis of Tennessee races for CTV, Canada’s largest private sector broadcaster, Nov. 6. The video can be viewed here. After the election results were in, Syler said he was surprised by the margins of victory in the governor’s race and the race for U.S. Senate on WSMV-TV Nov. 7. A video and transcript can be found here. In a Nov. 10 story in The Tennessean, Syler provided a retrospective of negative campaigning in the U.S. Senate race between Phil Bredesen and Marsha Blackburn. The story can be read here. Syler told the Chattanooga Times-Free Press for a Nov. 11 story that it will be a long time before Democrats can be competitive in statewide races in Tennessee. The report is available here. • Beverly Keel, chair of the Department of Recording Industry, attributed the rise of faith-based music on secular radio to the level of hurt and anxiety in the country in a Sept. 27 story in The Tennessean. Her words can be accessed here. Keel also stated that radio must lead the fight against gender discrimination in country music for a Nov. 11 story in Billboard magazine. The article can be read here. • Dr. Steven Livingston, a professor of political science and international affairs and associate director of the Business and Economic Research Center, discussed the lack of public reaction to the negative impact of tariffs on the Tennessee economy for the Oct. 22 edition of “The World” on Public Radio International. The transcript and audio are available here. • Dr. Lisa Sheehan-Smith, a professor of nutrition and food science, recommended using leftovers in homemade stew in an article for the Oct. 29 edition of Community Health Magazine. Sheehan-Smith also included her own recipe for healthful boeuf bourguignon, a type of beef stew. The article and the recipe can be accessed here. • Dr. Saleh Sbenaty, a professor of engineering technology and adherent of the Islamic faith, commented on hate crimes on the basis of religion for a Nov. 8 article in the Tennessee Tribune. His words are available here. • Ken Paulson, dean of the College of Media and Entertainment, said CNN and other news agencies should remain strong in the face of tough tactics by the Trump White House in a Nov. 9 story in the Malay Mail. His comments can be read here. Paulson also commented on the legacy of cartoonist Stan Lee, who died Nov. 14, for a Nov. 14 editorial for the USA Today Network. His opinion is available here. • Dr. Ken Blake, a professor of journalism and director of the MTSU Poll, participated in a discussion of the impact of polls on the consumer at the Southern Festival of Books in Nashville. The discussion aired on CSPAN2 Nov. 12 and can be viewed here. • Dr. Murat Arik, a professor of economics and director of the Business and Economic Research Center, commented on how the Nashville housing market might respond to the location of an Amazon plant in the area in a Nov. 14 report on WTVF-TV. The story can be accessed here.